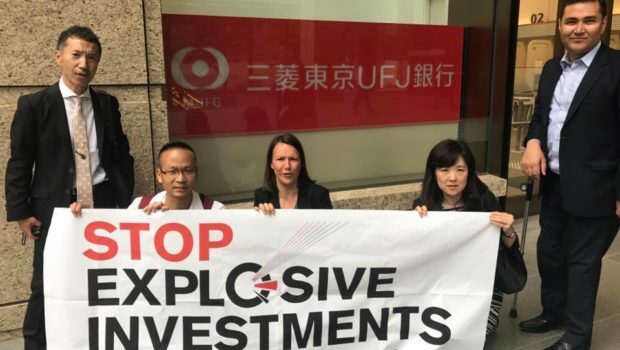 Four Japanese banks and insurance companies have stopped certain investments in producers making cluster bombs, according to reports today in several Japanese media outlets. The reports say the financial institutions are responding to public outrage generated by the launch of the PAX report ‘Worldwide Investments in Cluster Munitions’ in Tokyo in May 2017. The study’s Hall of Shame showed that these four Japanese financial institutions had major investments in cluster bomb producers. These investments have now reportedly been withdrawn. “We welcome this humanitarian decision and we hope other Japanese and South Korean financial institutions will also stop their investment in cluster munition producers right now,” said Mr. Toshi Shimizu of the Japanese Campaign to Ban Landmines (JCBL). The JCBL has played a key role in raising awareness among the Japanese public about the catastrophic humanitarian consequences caused by cluster bombs and in the campaign to end all investments in cluster bomb producers by Japanese financial institutions. Cluster munitions cannot distinguish between a civilian or a military target. Anyone within the strike area of a cluster bomb is likely to be injured or killed, and when cluster munitions are used in populated areas, civilians always fall victim. For example, over 80% of casualties caused by cluster munitions in Yemen were civilians. The inhumane nature of cluster munitions are the reason they have been banned by most countries through the 2008 Convention on Cluster Munitions (CCM). However, financial institutions still invest in companies that produce cluster bombs. These investments contribute to the continued production of these weapons. While welcoming this news, the CMC, PAX and the JCBL call on the Japanese government to take its responsibility and start playing a leading role in ending investments in cluster bomb producers. 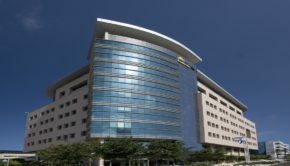 The publication earlier this year of the Japanese Government Pension Fund’s shareholdings showed that the fund is still heavily invested in cluster bomb producers. As a government pension fund from a country that has joined the international ban on cluster bombs, GPIF should end these investments. 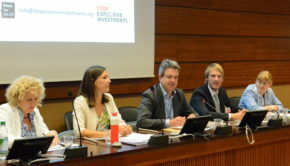 In addition, Japan needs to adopt national legislation prohibiting such investments altogether and should work towards increasing the universalisation of the CCM in its own region: although Japan itself joined the CCM already in 2008, its neighbours China and South Korea remain outside of the treaty, and continue to produce and stockpile cluster munitions. With the report ‘Worldwide Investments in Cluster Munitions’, PAX and the CMC aim to name and shame those financial institutions that invest in producers of cluster munitions. The full 2017 update of the report ‘Worldwide Investments in Cluster Munitions, a shared responsibility’ can be downloaded here.